Students often complain that TOGAF is too wordy, and that the documentation is too much to absorb. Our new series of posters aims to simplify some of the key learning points in TOGAF. 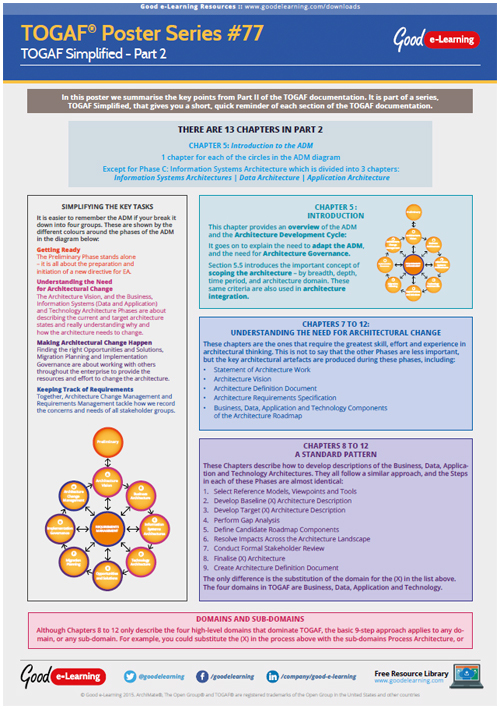 This poster by Good e-Learning’s enterprise architecture expert Roger Evernden simplifies Part II of the TOGAF documentation - the Architecture Development Method.